Traditional user-friendly weekly format with lots of extras. Traditional user-friendly weekly format with lots of extras. Page marker flap with full-year calendar reference. Writing pad and pen loop for handy notetaking. 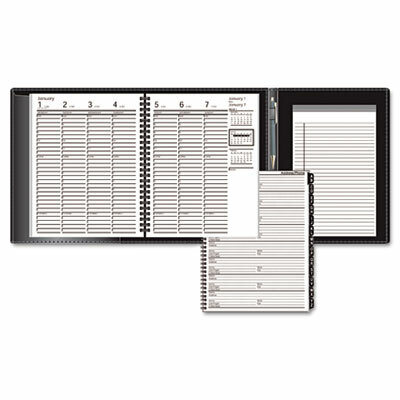 Tabbed telephone/address book is removable for reuse with next year's planner. Date stamped spine makes archiving easy. Appointment Ruling 7 AM to 8:45 PM Mon.-Fri.